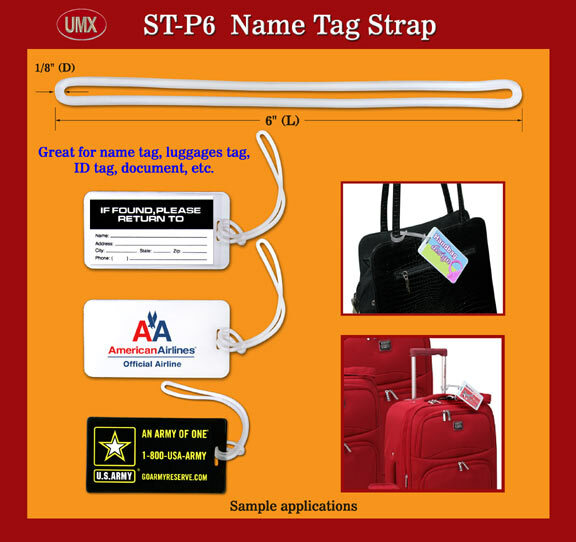 The semi-flexible plastic loops or straps are great design for luggage tags, bag tags or name tag holders. They are very easy to tie your luggage tag on the plastic loops. There are great for your handbag, travel bag or luggage's name tag holders. You are viewing Lanyards > Strap Supplies > Luggage Tag Loops, Name Tag Straps or Bag Tag Plastic Loop Holders.